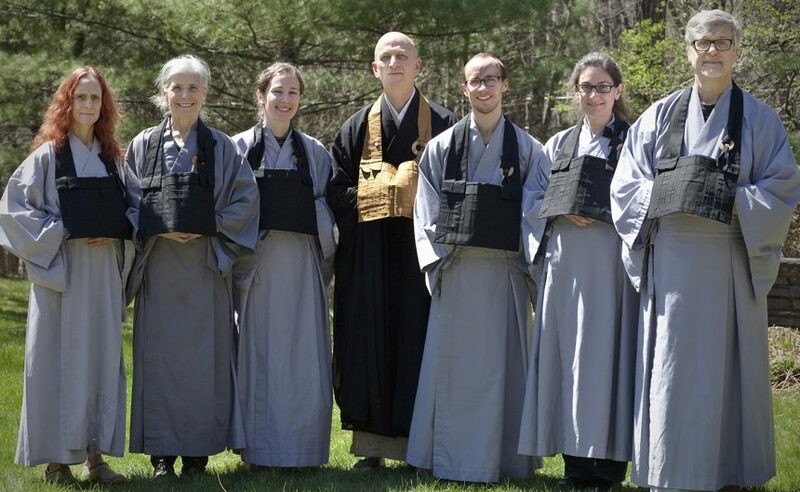 On September 3, in addition to opening the Fall 2017 Ango training period, the Monastery also held a different sort of opening ceremony. 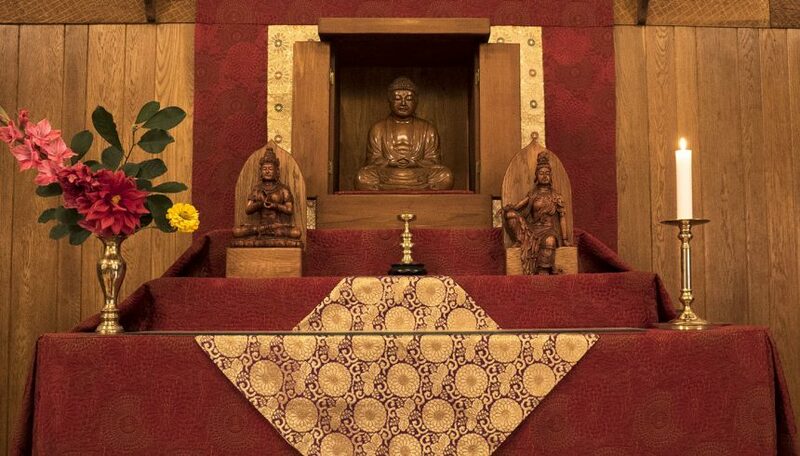 Shugen Sensei and Hojin Sensei performed an eye opening for two new images, created specifically for the the main altar in our zendo. 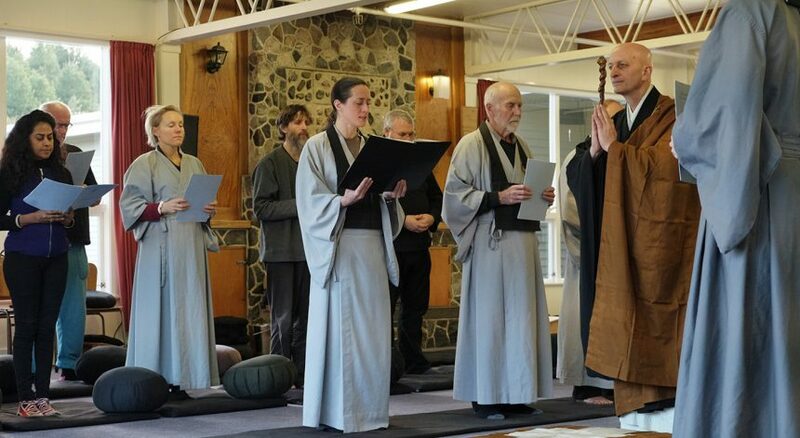 NOTE: This July, Shugen Arnold Sensei made his annual trip to New Zealand to lead retreats and public programs with our substantial sangha there. He first visited NZ almost 30 years ago with Daido Loori Roshi and he and other teachers in the Order have been visiting ever since. 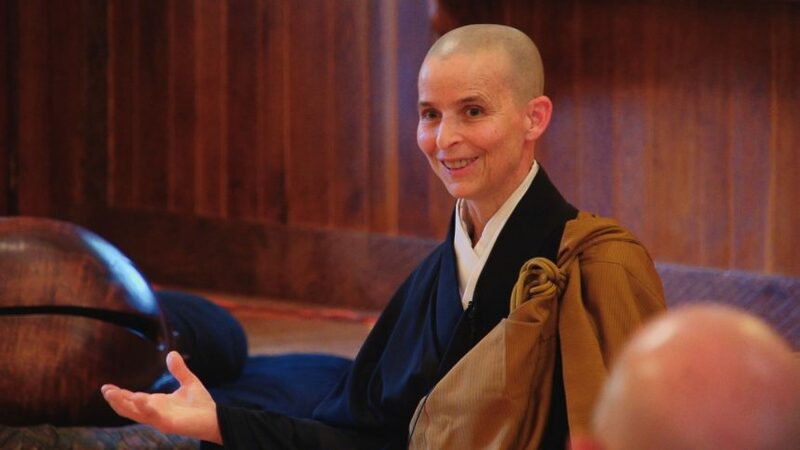 In this blog post, sangha member Navina Clemerson shares her reflections on the sesshin that took place . To read an account of the public talk given by Shugen Sensei in Nelson, click here to read another post by Myokei Adams and Gensei Moore. 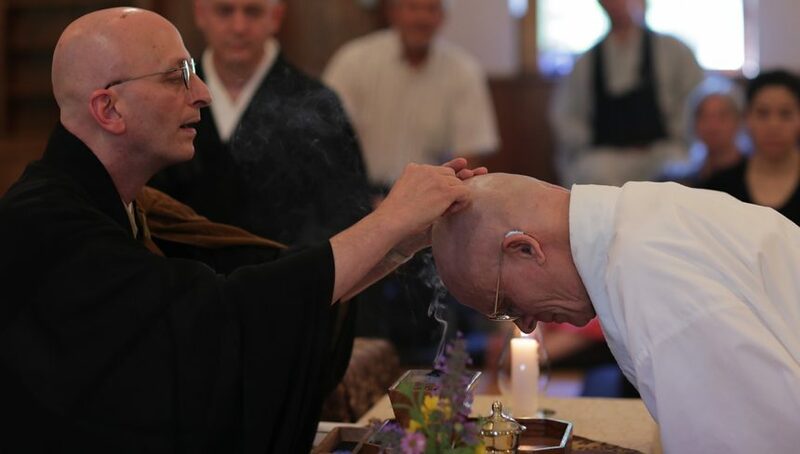 NOTE: This July, Shugen Arnold Sensei made his annual trip to New Zealand to lead retreats and public programs with our substantial sangha there. He first visited NZ almost 30 years ago with Daido Roshi and he and other teachers in the Order have been visiting ever since. In this blog post, MRO students Myoke Adams and Gensei Moore share their thoughts on the first few days of this summer’s teaching. To read an account of the sesshin that followed, click here to read another post by Navina Clemerson, MRO. The current main sink situation. 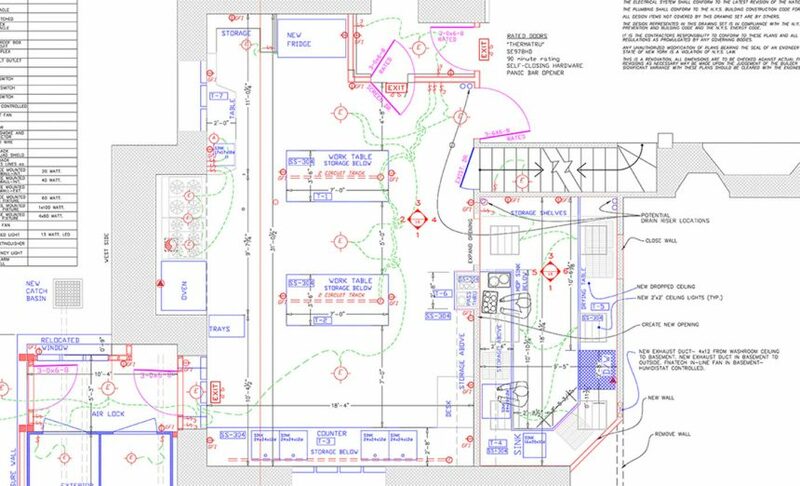 The new kitchen will have twice as many sinks to help meal crews run more efficiently. 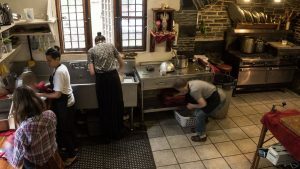 Since the founding of Zen Mountain Monastery in 1980, the Monastery kitchen has been an emotional hearth, a training hall, and the birth place of approximately 38,850 meals. It has also remained functionally the same for much of that time, even as other parts of the main building have been renovated and other structures on the property have been raised or rehabilitated. The monastic calling can sweep up the young in their daisy-eyed enthusiasm. It can take root in older practitioners, too: a penchant for absolute commitment previously unknown to the individual. It can also burn steadily, if flickering, throughout decades of practice, finally being realized when circumstances come together or after a very long period of discernment. 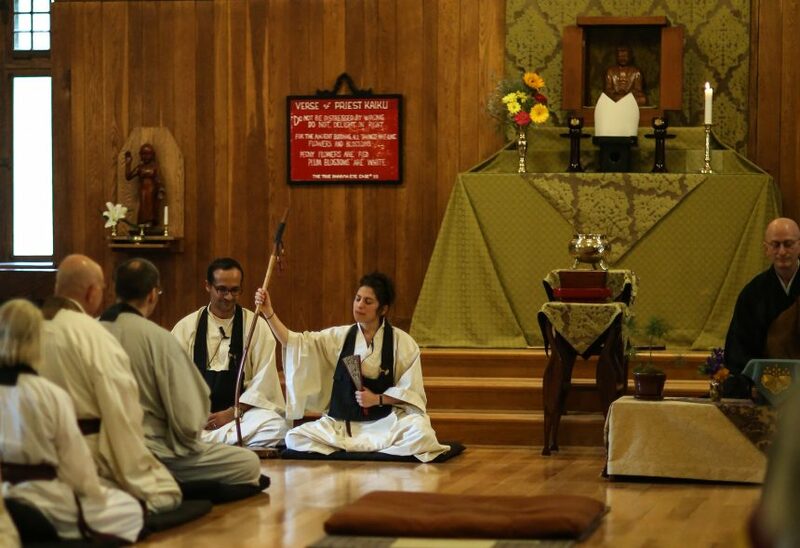 On Sunday, June 18, 2017, Shugen Sensei completed a process of dharma transmission to Jody Hojin Kimmel as a large gathering of sangha shared the moment. Denbo, the actual transmission empowerment, took place—in accord with tradition—at midnight the evening before without witnesses. Dharma transmission is an intimate expression of the student meeting the teacher’s understanding and conveyance of the Dharma. Hence it is referred to in Zen as a direct mind-to-mind transmission, beginning with the Buddha and his student Mahakashyapa and onward through the ages. 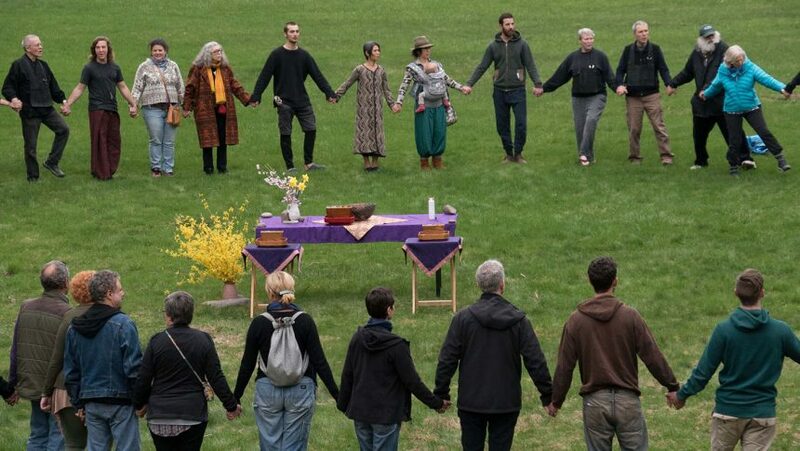 This week, Zen Mountain Monastery welcomed the Woodstock Interfaith Council and community members to celebrate a common vision of respect and identification with the Earth. The Council is a volunteer body of clergy and leaders of spiritual communities in the greater Woodstock region who meet regularly to discuss a range of issues, from administrative challenges to theological points of interest. 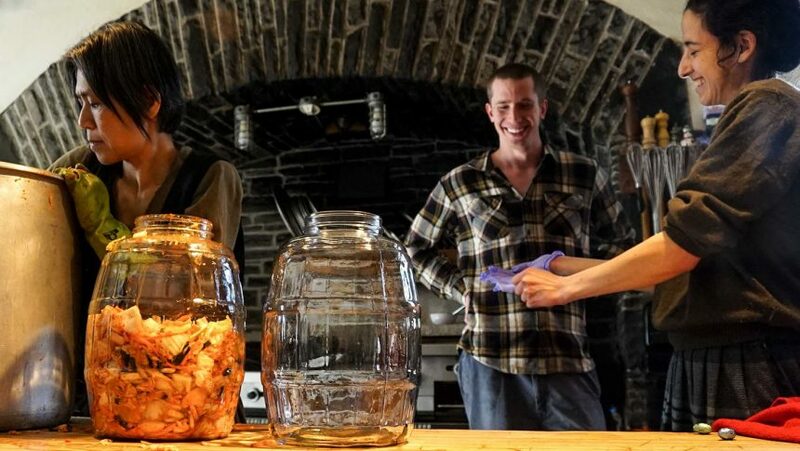 Something fermented this way comes. Recently, sangha member Achong Chen visited the Monastery kitchen to share some of her passion for kimchi. Normally associated with Korean cuisine, kimchi is also very popular in Japan, Taiwan (Achong’s home turf), and increasingly in the US. While there are many different recipes, Achong had us make a fairly standard kimchi using daikon radish, carrot, napa cabbage, ginger, garlic, scallions and the salt and chili that give all kimchis their distinctive, fermented punch.